Q. How to request a title from Kanopy? 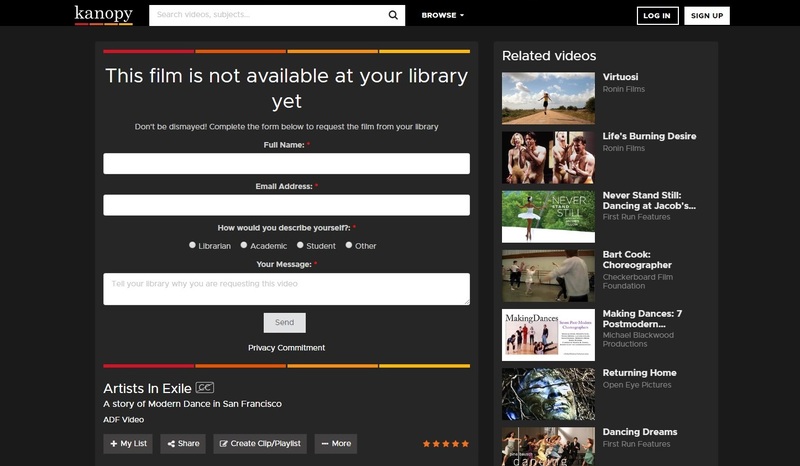 Berkeley College library subscribes to many streaming media services. One of our largest provider of streaming videos is Kanopy. Many of the films available through Kanopy, such as popular documentaries, PBS films, Great Courses, are immediately accessible and available. If you click on one of these selected films, it will play. However, to add or request a Kanopy title that is not readily available, please complete the request form that appears when the title is not yet in our streaming media collection. The film we be considered for purchase and the requester will be notified of the updates.